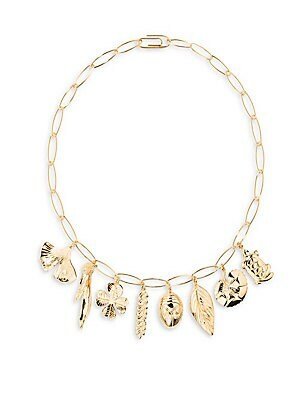 18K goldplated Aurélie necklace with signature charms 18K yellow goldplated Length, 17.25" Paperclip clasp Made in France. Fashion Jewelry - Modern Jewelry Designers. Aurélie Bidermann. Color: Gold. 18K yellow gold floral ring with rhodolite garnet center stone 18K yellow gold Rhodolite garnet Width, 0.6" Made in France. Fashion Jewelry - Modern Jewelry Designers. Aurélie Bidermann. Color: Yellow Gold. Size: 6. 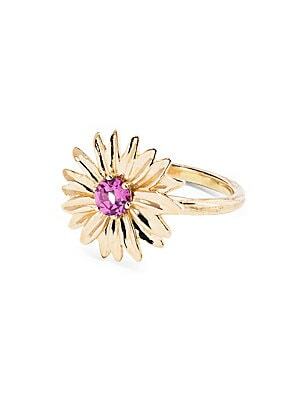 18K yellow gold floral ring with rhodolite garnet center stone 18K yellow gold Rhodolite garnet Width, 0.6" Made in France. Fashion Jewelry - Modern Jewelry Designers. Aurélie Bidermann. Color: Yellow Gold. Size: 7. 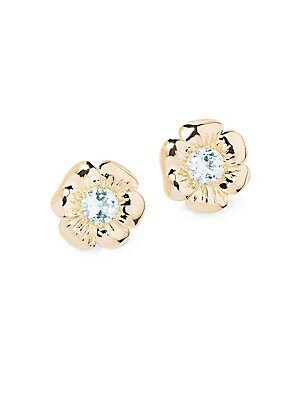 18K yellow gold pansy earring with topaz center stone 18K yellow gold Topaz Diameter, 0.40" Post back Made in France Please note: This item is not sold as a pair. Fashion Jewelry - Modern Jewelry Designers. Aurélie Bidermann. Color: Yellow Gold. 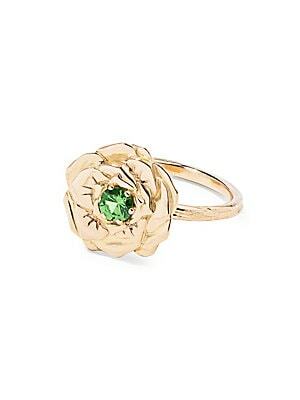 18K yellow gold rose ring with tsavorite center stone 18K yellow gold Tsavorite Width, 0.55" Made in France. Fashion Jewelry - Modern Jewelry Designers. Aurélie Bidermann. Color: Yellow Gold. Size: 6. 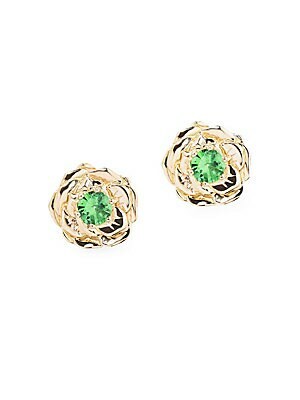 18K yellow gold rose single earring with tsavorite center stone. 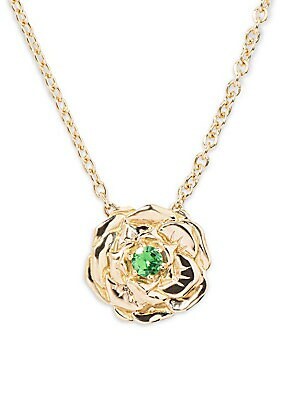 18K yellow gold Tsavorite Post back Made in France SIZE Diameter, 3.75". Fashion Jewelry - Modern Jewelry Designers. Aurélie Bidermann. Color: Yellow Gold. 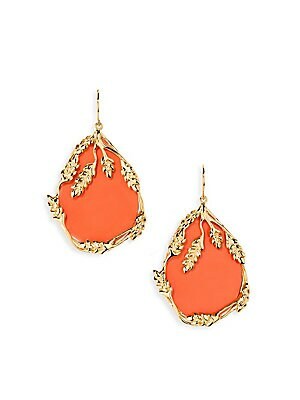 Aurélie Bidermann Françoise Coral Drop Earrings - Coral. For sale at Saks Fifth Avenue department store. 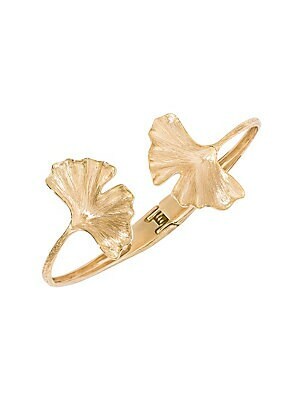 Bold gingko leaf designs lend drama to this artisanal gold bracelet. 18K yellow gold Hinge clasp closure Made in France SIZE Diameter, about 2.17". Fashion Jewelry - Modern Jewelry Designers. Aurélie Bidermann. Color: Gold. 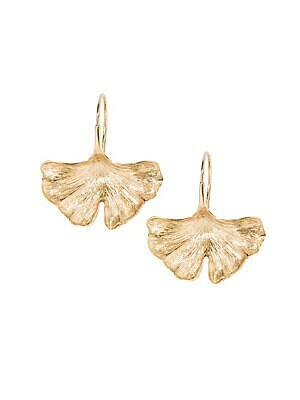 Bold gingko leaf earrings lend a striking golden finish. 18K yellow gold Fishhook back Made in France SIZE Width, 0.84" Length, 1.09". Fashion Jewelry - Modern Jewelry Designers. Aurélie Bidermann. Color: Gold.